Dr Jennifer Gardner OAM retired last week after more than 30 years of invaluable contribution to the Waite Historic Precinct in her position as Curator of the Waite Arboretum, creative developer of the Urrbrae House Gardens, custodian of the Waite Conservation Reserve and advocate for the natural environment. Jennifer has been Curator of the Waite Arboretum since 1986 – the longest serving curator and one of only two women to occupy the position so far. During her tenure, she has committed herself to promoting and developing Peter Waite’s vision that part of his bequest be used for a “park or garden for the recreation and enjoyment of the public“. Jennifer has had a connection to the Waite and Waite Arboretum from a very young age. Her mother took in boarders from the Waite Institute including microbiology graduate, Coralie Potter. From early childhood, Jennifer was interested in detail and classifying things. When she had to undertake a year 7 project at Linden Park Primary School, Jennifer chose to do a project on the Waite. She visited each department of the Institute and was impressed by how people generously gave their time to share their knowledge about the projects they were working on and still has the project book she put together. From the outset, Jennifer’s approach to the management of the Waite Arboretum was to pursue the best future for the Waite Arboretum. She has overseen what can be called the ‘third phase’ of the Arboretum’s development – as a working collection of trees and a place for the enjoyment of the public. 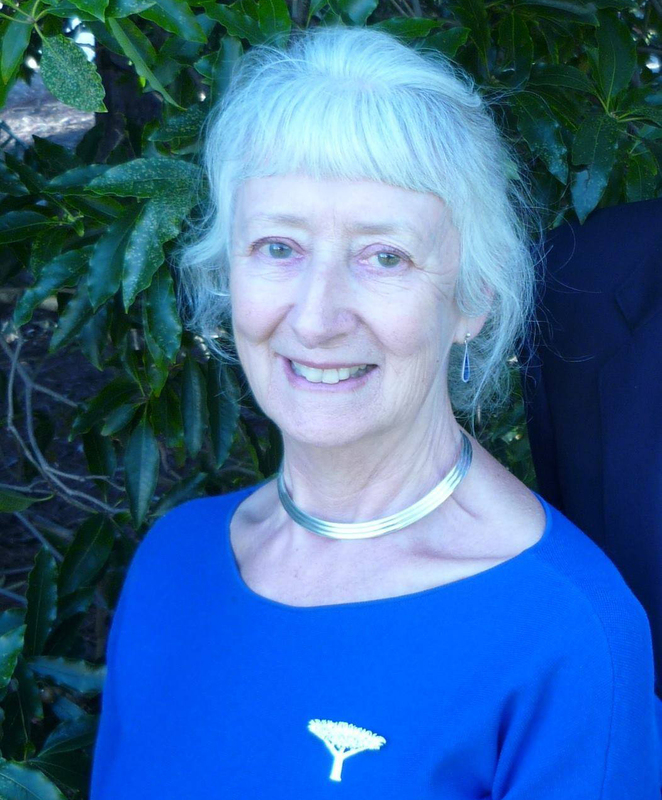 She has focused on improving the aesthetics of and public access to the Arboretum while working collaboratively with the wider community to build support for the Arboretum. Today, the Waite Arboretum is home to over 2,300 specimens. Jennifer has also had responsibility for the Urrbrae House Gardens and Waite Conservation Reserve. Enlisting the help of many volunteers, she has overseen the transformation of the beautiful gardens since 1992 and been fundamental to the ongoing development and remediation of the Waite Conservation Reserve. Together with former Urrbrae House curator Yvonne Routledge, Jennifer was also instrumental in seeing the house opened up to the public for the first time in 1991. She established the Friends of the Waite Arboretum in 1994 and the Friends of the Waite Conservation Reserve in 1997 and was instrumental in founding TREENET (Trees & Roadway Experimental & Education Network) over 20 years ago. Today is my last day as Curator of the Waite Arboretum, so it is time to say thank you and farewell. It has been my privilege and joy to have worked for over 30 years at the Waite, in this beautiful environment, with lovely people and in a rewarding job which has given me much pleasure. Expanding the Arboretum collection and enhancing it with sculptures, seats and an App, developing the thematic gardens of Urrbrae House, and overseeing the conservation and restoration of the Waite Reserve has been an enriching experience. I am grateful for the support I have received from my colleagues and collaborators in the Arboretum, Treenet and Urrbrae House as well as from Stuart Matthews and Mike Keller as the Dean of Waite. I also acknowledge the contribution of all my dedicated volunteers, the three Friends groups – Arboretum, Reserve, and Urrbrae House and the many other community groups who give their time and talent to enhance the natural beauty of the campus, to cherish the history and heritage of the site, to share their enjoyment of the place and connect the University to the wider community. In my retirement I will continue to work on some Arboretum, Reserve and Garden projects in an honorary capacity as a Visiting Associate. Dr Kate Delaporte will be Acting Curator of the Waite Arboretum until the position is advertised and filled. She can be contacted on 8313 7405 and arboretum@adelaide.edu.au. I wish her every success. This entry was posted in News, Urrbrae House, Waite Arboretum, Waite Conservation Reserve. Bookmark the permalink.